Another oldie but goodie, that is still available today in an updated edition. 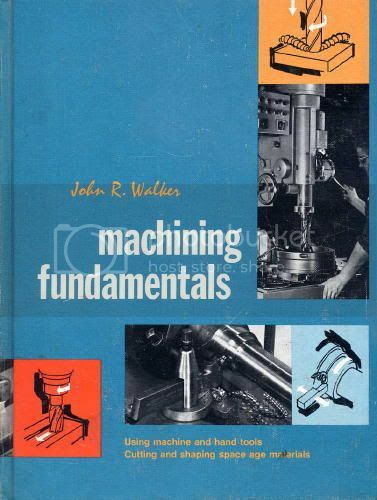 It is filled with B&W photo's of the equipment, product and operations of machining. Starts with machine shop occupations, understanding drawings,shop safety, measurement,layout work, hand tools,drills and drilling machines,offhand grinding,and sawing and cut off machines. The lathe, planning machines,milling machines precision grinding, band machining (band saw, abrasive band machines and other continuous belt machining work). And finishes up with glossary of terms, useful tables and index.